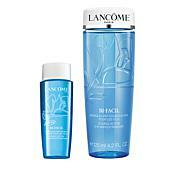 Bi-phased micellar water face makeup remover and cleanser formulated to remove long-wear makeup. Apply to cotton pad and swipe over face to remove makeup. Feels great with great results. 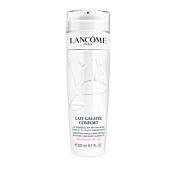 Lancome does it again with another great product! Pressed for time? 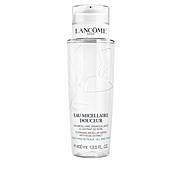 Save precious moments with this double-phase, fresh-as-water liquid eye makeup remover. It activates when you shake it gently. 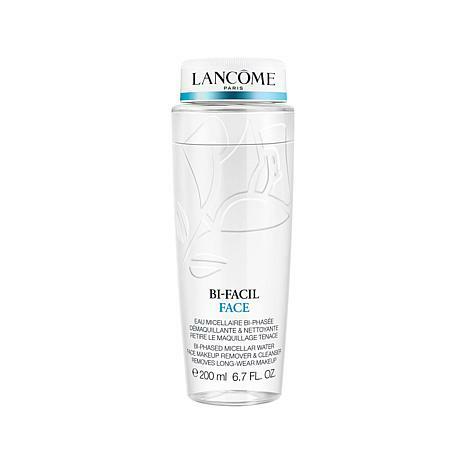 Then, it goes to work to gently whisk away even waterproof eye makeup while conditioning and refreshing your skin. Voila! Enjoy a clean, moisturized face.